A couple of year’s ago I wrote a super bowl-edition blog entitled “Give Your Partners Your Playbook.” Since that time, I’ve changed my stance on this topic. Sure, you can call me a flip-flopper, but the fact is that advances in technology have changed the landscape of channel engagement. Consider this: depending on their formations, personnel, and different variations of each play, the average NFL offense can have upwards of 500 plays in their playbook. Now, this isn’t an insurmountable number, and players can certainly master each of these plays, but it takes lots of mental preparedness and studying in order to become an effective offensive player. If it’s difficult for an employee that gets paid millions of dollars to learn a playbook, think about your partner’s salespeople who have multiple playbooks to consider. Your playbook today is most likely your partner portal. Yep, just about every case study, sales tool, and resources one would ever need is in your partner portal. It’s good that your partner salespeople and sales engineers have access to the playbook, but don’t expect them to know it or even be able to navigate it. Don’t give them the playbook, give them the “game plan.” By only giving them the overarching game plan, the likelihood of them actually absorbing the “plays” and strategy increase ten-fold. Over the last 5 years, the industry channel organizations has been spending time, money, and resources on answering the question, “How can we be more efficient with our communication and become easier to work with?” As an industry, we’ve been successful with implementing Partner Portals, Learning Management Systems, Partner Relationship Management Systems, etc. These have been positive, even necessary steps for industry growth. But now, with the foundation of all these past investments in place, we need to transition from simply giving our partner sales and sales engineers “access” to these resources, to actually leveraging these systems and enabling these people so that they become more comfortable, compliant, and successful in growing their businesses while selling our products. This can be achieved by shining a spotlight on the five important channel behaviors that can transform into eventual sales. 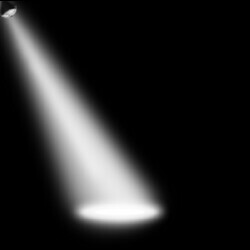 This spotlight is your channel engagement platform. A channel engagement portal blankets over all your channel resources and makes it easy for your partner’s people to identify the top 5 key plays (behaviors) that lead to sales. Those plays might include: certification trainings, viewing a new product launch video, downloading a new case study, reading a recent favorable Gartner report, setting a meeting with the regional business development manager, a new account introduction, or whatever else we know continues to move the sticks for fresh set of down. “But Travis, can these things/behaviors be tracked and measured?” Absolutely! And we if they are “good” and should be measured, then they also need to be rewarded with incentives. So don’t overload your Partners with 500 different plays to choose from—give them your five best that can be run utilized successfully again and again and again. As always, send me a note if you’d like to discuss or talk through some of these ideas together. And feel free to join in on this conversation at Move the Channel Group, your exclusive destination for Channel insights and innovation. 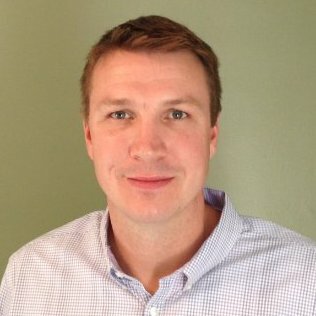 About the Author: Travis Smith is the CEO & Founder of Move the Channel, a worldwide network and community of channel marketing & sales Chiefs and channel thought leaders. He also is a leader at HMI Performance Incentives, a channel engagement, and incentive company focused on Technology Channel Incentive Strategies. Travis helps some of the most respected companies in the world design, implement, and manage their domestic and global channel incentive programs. 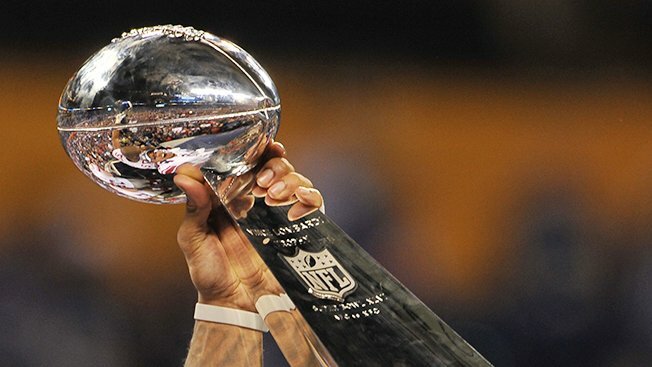 Move the Channel Blog: Do your partners’ people deserve Championship rings? 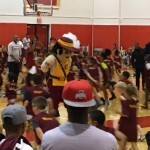 Last night my 8-year-old son participated in the Cleveland Cavaliers Academy clinic. 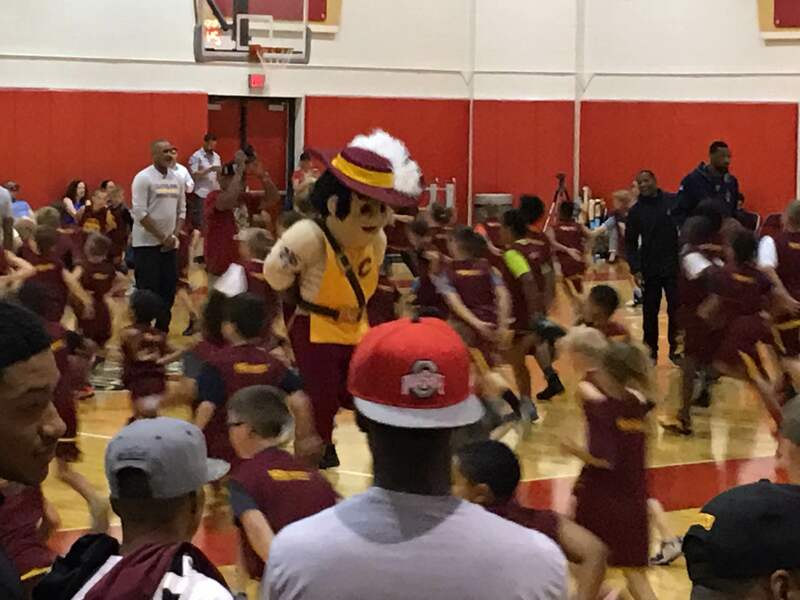 At the end of the clinic, the kids got to ask the Cavs’ players and coaches questions. The best question? “Where’s LeBron?”! Fun was had by all and great job by my long time family friend, Seth Roberts, and the team pulling off a great event. 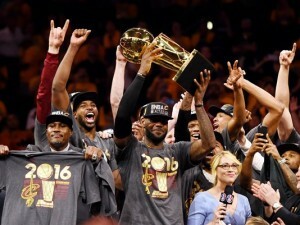 Being around the team brought me back to June, when my Cleveland Cavaliers overcame a 3-1 deficit to beat the best regular season team in NBA history, ultimately winning their first World Championship in dramatic fashion. To all those who witnessed these games, it was obvious that the coaches and players’ lifetime of hard work, dedication, determination all contributed to their victory in the 2016 NBA Finals. If ever there was a team that deserved to hoist the Larry O’Brien Trophy and receive championship rings, it was this team. But what was less visible to those watching were the incredible efforts of the people behind the scenes. Before the regular season, the Cavs organization came up with a slogan for the team and the city that stood behind it: “All in.” Now, I’d bet that most of us sports fans have participated in a neighborhood Texas Hold-Em game amongst friends, so we all know that moment. You know, the moment that’s made the game so popular, the point where you decide that your best chance to win is, well, right now. Wait too long, and you might lose your momentum—and your advantage. So instead, being confident in your hand, you look at the opponent across the table from you and you say, “I’m all in.” At that point, whether you win or lose the game, you still feel fulfilled because you trusted yourself and went “all in” on your own terms. 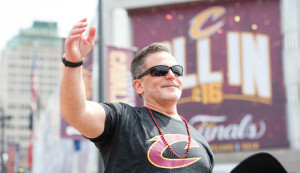 But credit the Cavs owner, Dan Gilbert @cavsdan and his talented marketing staff, for not just a witty season slogan, he embraced it and made it the theme of his organization. I suspect this isn’t a new thing for his many many companies. Dan Gilbert, the Cavs owner, recognized that in order to increase the odds and be the best team in the world, you needed more than a great team and great coaches. You needed to have your entire organization, and the entire business ecosystem that surrounds it, to go “all in” with you. That meant setting the bar high and demanding the most out of everyone involved. In a business setting, hitting that high goal might mean a bonus—if you’re lucky enough to be a valued employee who happens to have variable compensation role. But what about the non-variable compensation employees? You know, the ones who, without their behind-the-scenes efforts, nothing would work. Or worse, what about your partners in your ecosystem, those who aren’t direct employees but are an important part of delivering and distributing your services every day? The partner or vendor employees include janitors, hot dog vendors, ushers, and even policemen! 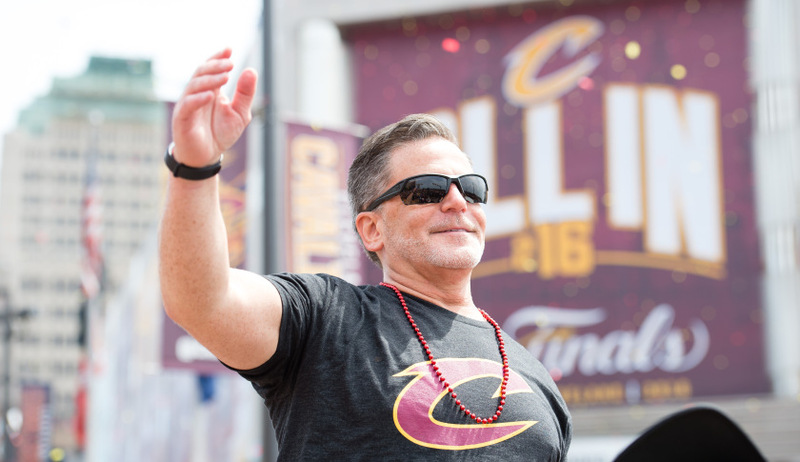 To his credit, Dan Gilbert didn’t think the non-variable commissioned employees, nor his partner’s employees (like the hot dog and beer guys) there to “work” for the Cavs. In his heart, he believed they were critical to the success of the entire organization. The genius—and the magic—of this mindset is that the entire ecosystem of people involved in the business believed it too. If they hadn’t before, they did now. During this one magical season, they all decided to go “all in” with the Cavs. 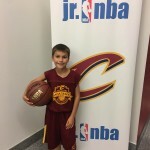 Of course, I think LeBron James @KingJames is a true modern-day hero for what he does off the court http://lebronjamesfamilyfoundation.org/page/ljffyearreview. I also continue to hear stories like this one about Dan Gilbert and I am impressed with his judgment. I know that Dan and LeBron have had a somewhat rocky relationship over the years, but I can’t help but think winning championships might just be the baseline for what these two can accomplish together. . . . The point here is that, in my opinion, no one has ever succeeded on his or her own, and if only we could see and appreciate all of the minor contributions that are made to our collective pursuits, the sky’s the limit for what we can achieve. And as much as anywhere, this holds true within the channel. Do you look at each person in your distribution channels and ecosystem as critical to your success? Or are they partners just “doing their job”? More importantly, do they feel like they are valued and have the impression that you view them as “critical?” If not, you probably aren’t maximizing your odds of winning the ‘ship. Sure, you probably won’t go around distributing thousands of championship rings—but have you thought about an engagement program that rewards them for their time and energy commitment that they’ve made to your organization? Have they gone “all in” with your business by completing training modules, studying your products, learning to position them, engaging with your business development people, etc.? If so, maybe it’s time you rewarded them; because after all, if it can turn a basketball player into a King, imagine what it could do for your business. . . . But this doesn’t tell the whole story. Conversely, a study by our friends over at CEB has found that end-user loyalty is not being impacted primarily by these traditional drivers, but rather by one important element: the end-user’s buying experience or what they experience throughout the sale. When we talk about sales experience, it’s more than just delivering on your product and/or company promises; additionally, it includes providing insights and added value to the customer. In other words, a salesperson should be capable of doubling as a trusted advisor—certainly no easy task. How do these findings impact channel organizations? Well, to be frank, this discovery makes many of us VERY uncomfortable. For the most part we are in full control of executing our strategy when it’s based around the traditional pillars of product and service differential, improving our brand impact and improving our perceived product value. In fact, we have very talented people in our marketing teams working on these areas every single day. But when it comes to controlling our channel partners’ salespeople and sales engineers, to ensuring they are providing a good end-user buying experience for our product, our confidence is a lot less assured. 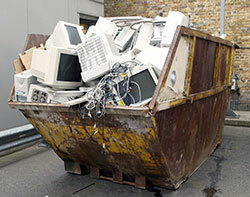 Without having our hands physically in the mix, it can be hard for us to trust that due diligence is being exercised. So I can totally understand why this is prospect might be, shall we say, scary to certain Channel organizations. But I’m here to reassure you that the end-user’ buying experience is actually not out of our hands; in fact, we can exert some measure of control. For starters, there’s been significant innovation in the area of how to better influence and train our channel partners’ sales people. Arming them with the right content at the right time is one area where we’ve seen a big impact, with companies like SproutLoud and Allbound leading the way. But perhaps the best levers to pull when it comes to this challenge may also be the most obvious: incentivizing them to do the things that make them stronger, more trusted advisors to your end-customer. For example, HMI Performance Incentives helps companies reward these important influencers for 1.) Completing training quizzes so that they become more informed, more confident and comfortable, and ultimately more influential during the sales experience. Other methods include rewarding your partners’ salespeople for 2.) Getting your team involved in the sale early on, 3.) Rewarding for new account introductions, 4.) Early deal registration, or 5.) Setting up professional Demo or placing POC (Proof of Concept). So, just because the territory is unfamiliar doesn’t mean it’s impossible to navigate. Don’t you feel better now? I sure do. Transforming your channel? 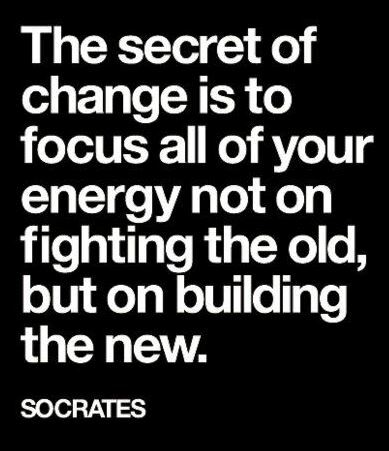 Focus on building the new. This is certainly true when it comes to transforming your alliance channel partnerships. Executives seems to be “how do I Transform my channel.” This week alone I’ve met with two senior executives of industry-leading organizations who both suggested that transformation of their channel has become a priority. Although this is not a new idea, most of my channel initiatives in the previous years had involved trying to inspire MORE of an existing behavior within the channel. But transforming the channel is about “Building the New”. And it’s not just about a tweak here and a turn there. These executives want to fundamentally change how their channel partners and partner salespeople do two things: a) How their partners interact with their company, and b) How their partners Engage and sell to the end-user. Part of the art of channel marketing is being able to influence key stakeholders in the channel without having the most powerful tool, the influence of direct compensation. Our channel stakeholders aren’t employees and therefore we don’t control our channel partner’s compensation plans. That being said, we do have significant control at the partner firm-level, and therefore we have the ability to adjust pricing discounts, offer rebates, and create MDF thresholds, all of which can encourage the partner to take their channel in a new transformative direction. If we want to change our business-as-usual approach to the channel, we must not be afraid to use every tool in our toolbox. Another powerful instrument that can be used to transform your channel strategy is a wisely crafted channel incentive program. We’ve already talked about levers you have that can impact your partner at firm-level. But what about motivating the Point Of Influence (POI) of our sale? The POI typically identifies the partner’s sales people or Sales Engineers that interface with the end-user/end-buyer and own the relationship. The question is: How do we reach and engage these important channel influencers? With a well-designed channel incentive program we can focus on building the new and accelerating the transformation of our channel. 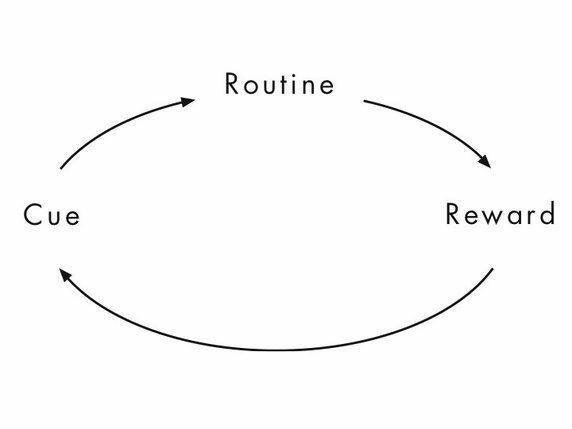 What are some transforming behaviors we can start to influence? Building the New — There are many different degrees of training. There is everything from “Readiness” lessons and quizzes to full-blown Accreditation programs. Of course while any readiness initiative can be rolled out in weeks, a more significant accreditation program will usually take significant time & effort. Also, we know if Partner Salespeople (POI) invest their time in these training initiatives—whether its 15 minutes or 15 hours—this mindshare WILL ultimately translate into market share. Readiness initiatives should be hosted in your Channel incentive or engagement portals that target the POI audience. A New Partnership — Transformation of the channel isn’t just about how our channel goes to market but how the channel partner works and interacts with us (the manufacture or distributor). This may be asking our channel partners and channel partner salespeople to change how they engage, where they engage, and what they engage at our organization. For example, for years manufactures and distributors have been investing in various partner resources including partner portals, partner marketing automation, etc. Although these “portals” are certainly still valuable resource centers, most organizations have started to realize that the “Do it yourself” approach makes it difficult to measure the effectiveness. A New message for the End Buyer — As mentioned above, the DIY approaches haven’t worked as planned. There’s a concrete need to guide our channel partners especially at the POI to market and communicate the New…. products, services, and approach. When and how end-buyer communications are executive is often a trackable behavior and therefore one that can be incentivized in your channel engagement portal. Selling to a New Stakeholder . . . the Decision Maker — It’s not only what we’re selling that is New: it’s who we’re selling to. Setting up meetings with the right people or the New decision makers is something else we can influence. With a decent CRM setting meetings with right people is a trackable behavior and therefore one that can be incentivized in your channel engagement portal. These are just some examples of trackable and rewardable behaviors that can help you transform your channel. 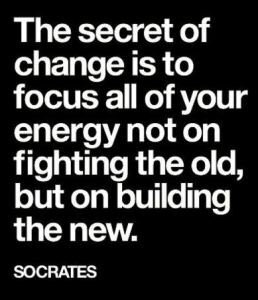 Remember, the Secret is to focus ALL of your energy on building the new, or what will transform your channel. A well-designed and properly managed channel incentive program can help you do that. Have you been tasked with transforming your channel? Are you reaching the partner firm-level as well as at the Point of Influence (POI)? As always, send me an email with questions, comments, or to set up a call. Capturing the mindshare of your partners is one of the top challenges of selling through a distribution channel. Unless your products sell themselves, you need your channel partners’ sales people to be comfortable sharing your products’ benefits and advantages. Here is the problem, unless your partners’ sales people have a baseline understanding of your products… they are NOT going to talk about them. The quickest way to measure and accelerate your channel’s basic product knowledge is through quick quizzes. By deploying a quick quiz, you measure a couple of key metrics. First, are they even clicking on your communications? Next, how do they score on the basic product quiz? Quizzes have always been a source of knowledge measuring, but how do they improve product knowledge? 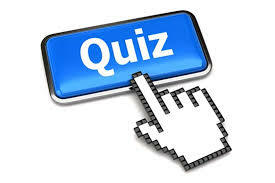 HMI structures their quizzes with multiple choice questions followed up with answers and explanations. So it’s not about passing or failing, it’s about building a basic level of competency. Most won’t designate the time required for completion of LMS courses unless mandated by their employer. But, quizzes are far from an enterprise LMS (learning Management System) and simple is what makes them so effective. Quizzes should only consist of 5-10 questions and only take 5 or so minutes. The fewer the question the more often you can give them. For example, 3 question quiz sent out every Tuesday morning. What should we quiz? If it is sales people you wish to target, then you should be designing your quiz around the benefits and outcomes that your products produce. If its sales engineers, then it can be more about the product features and functions. Last and VERY important is how do we entice these busy professionals to participate in the quiz? Companies like HMI Performance Incentives, can not only help in designing and deploying the quizzes to your channel but they can assist in development and delivery an incentive campaign built around the “quick quiz” initiative. Wrapping incentives around these quizzes not only maximizes initial participation, but motivates partners to coming back for more! 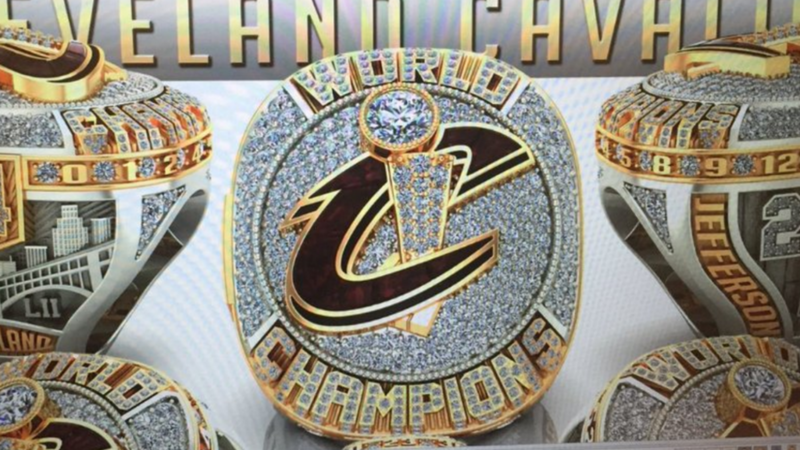 PS – those of you that know me, know I had to somehow work the CAVS in my blog this week! Go Cleveland (The City of Champions)! Have we out-kicked the coverage when it comes to Channel and Alliance Partnerships? 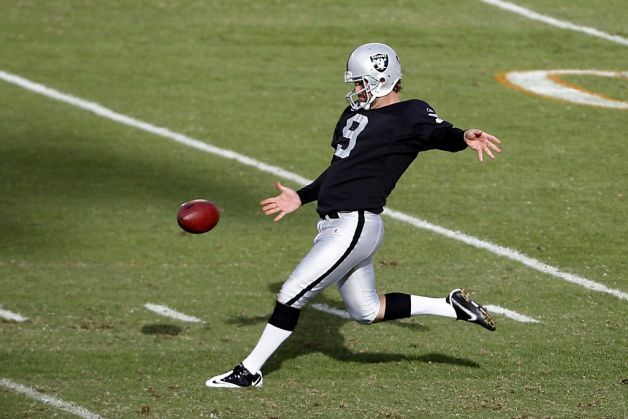 In American football, this analogy references the idea of the punter having such a good kick, that he out-kicked his special team’s coverage. The tremendous kick has the cover team out of position at no fault of their own. As a result, the kick returner is able to capitalize and runs the kick back for a game swinging touchdown! It is hard to find a more disappointing and pivotal play in sports than a punt return for touchdown against your team! In channel marketing & sales, we are starting to out kick the coverage. There is no doubt, channel marketing automation tools and channel sales tools are more advanced and effective than ever. However, is that a bad thing? Should we tell the punter to not kick it so far? Of course not! Bombs away! But, we do need to rethink our coverage team and plan. Your channel and alliance managers need to adjust to the terrific “kick” and provide even deeper coverage. The booming kick isn’t a reason to scratch the play… its reason to sprint harder, faster, further. Just like the booming technology is reason to increase your relationship efforts and understanding with your channel partners. 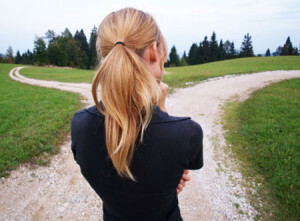 Too many think the marketing automation and sales tools are reason to let up. Wrong! In fact, more than ever we need to “up” our coverage. Channel Account Managers (players) shouldn’t take the play off and Channel Chiefs (Head Coaches) need to remember how vital good players are to winning. A good kicker is a huge asset but don’t stop coaching and properly incentivizing your cover team. Take note and make some half-time adjustments that put your channel reps back in position to execute. As always, please send me a note with your thoughts and your experience. Channel Incentives must be focused on the right behaviors…. not only sales. Our partners want to bring value to our solution and to be recognized for being an important piece of our strategies. Yes we do a good job of telling them what their yearly growth goal is or what it’s going to take for them to achieve “Gold” status. Don’t get me wrong these are important behavior to define and recognize. Take some time today to identify your company’s key values and communicate them to your partner. Then use those values as the foundation of your channel incentive efforts. As always, send me an email with your thoughts and comments! I started my Sunday evening the same way I start every Sunday evening. I read my good friend Anthony Iannarino’s weekly Newsletter. Beyond being a good friend, Anthony is an author, professional speaker/trainer, and writes daily at The Sales Blog. If you want your sales organization to have an edge and become a “Level 4 Value Creator”, you need make Anthony apart of your Sunday too. Anthony starts today’s newsletter reminding us when a team acquires a new player, that player is given a playbook. Inside that playbook is every play the team runs and the player is expected to memorize the book and its plays, cover-to-cover. He or she is expected to know how to execute his/her role so that the play—and team—succeeds. A good playbook integrates all of their product knowledge, their sales process, their buyer’s roles, the necessary sales dialogues, and competitive information in some format the salesperson can actually use. Anthony goes on to point out the challenges facing sales organization who do not have a playbook or are not fully utilizing their current playbook. 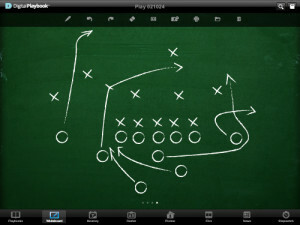 He presses further on the importance of the playbook issue by sharing ideas for developing a playbook. But WE go-to-market through a Channel. Our channel partners are the ones that execute the plays in the field. This is where most channel organizations fall short. If you don’t share your playbook with your channel partners you will not make it to, let alone win the Super Bowl. Share with them the playbook that got you to be a leader in the industry. In a meeting, share the goals for the entire channel ecosystem, and why their role is so critical to the channel’s overall success. The companies that are able to do this well tend to have the best and most loyal channels. A great way to share the playbook with the channel through a Channel Incentive Program that rewards for Steps-to-the-Sale behavior. Reward for knowing the playbook and executing plays that win new business. Similar to a new NFL player and coach, do you share your playbook when you acquire a new partner? Let’s make it a great week moving the channel! The holidays are fast approaching! Sadly, there are still many people who dread what they consider to be a stressful time, seeing family members who they don’t always get along with. I’ve talked to many friends who possess this “you are stuck with your family” mentality, making what should be a joyous time difficult and demanding. Interestingly, my channel marketing peers often express having similar reservations about their channel partners around this time of year. Much like a family, they too are in many ways “stuck” with the channel partners they do business with. Now, as someone who loves both the channel and his family (in-laws included), I’m always a little disheartened to hear that others feel this way. Life is too short, in my opinion, to maintain this “stuck” mentality. Fortunately, I’ve discovered a cure for this common dissatisfaction, and I’d like to take a moment to share it with all of you. As channel marketing leaders, we often mastermind solutions or search for ways to transform our channel partners so that they come around to seeing things our way. For example we might up the requirements for training or develop Platinum Tier to strive for. These are bad things. But as a strategy, this alone isn’t enough. It’s true, a well-designed Channel Incentive Strategy is often essential to channel success. However, there’s something even more fundamental to your business, something that first must be in place to serve as a foundation for that success. 1) How can I make their lives a little better today? 2) When I leave here today, will they be glad that I came? That’s right. 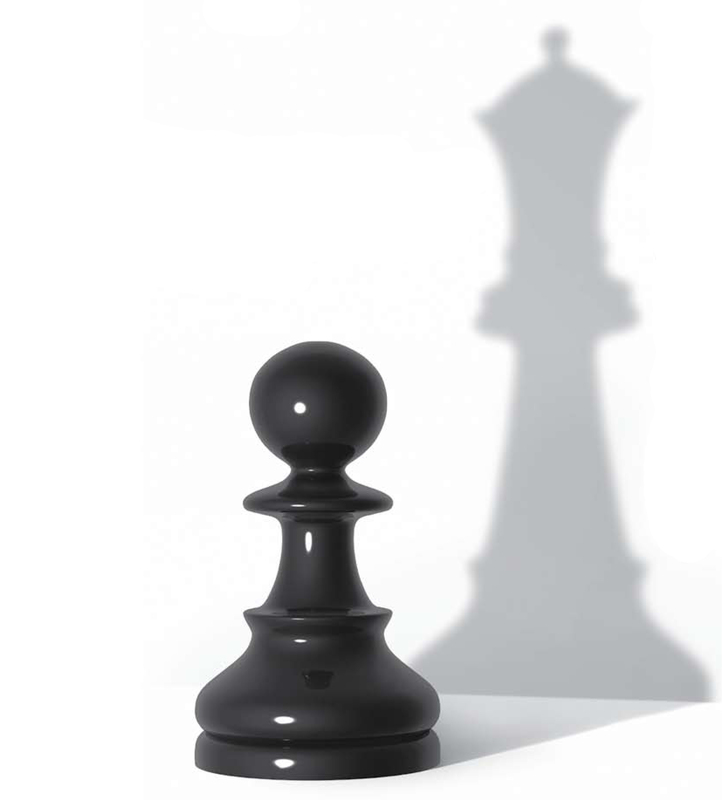 The key to channel success isn’t a genius marketing strategy or the perfect channel program. It all starts by accepting them for who they are and then looking in the mirror and asking yourself those two questions. Try it and get back to me with your thoughts. 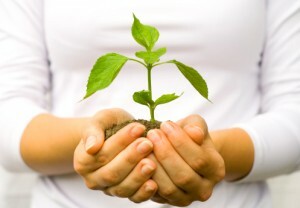 Don’t “Buy” your channel partners’ business, Nurture It. Over the years, I’ve talked to many Channel Marketing Pros who worry that an incentive program is just a way to “buy” business. On the face of it, that almost sounds unethical (and a little bit slimy, if you ask me). While it’s true that some programs are basically designed that way, these program types usually don’t have a good long-term outcome. 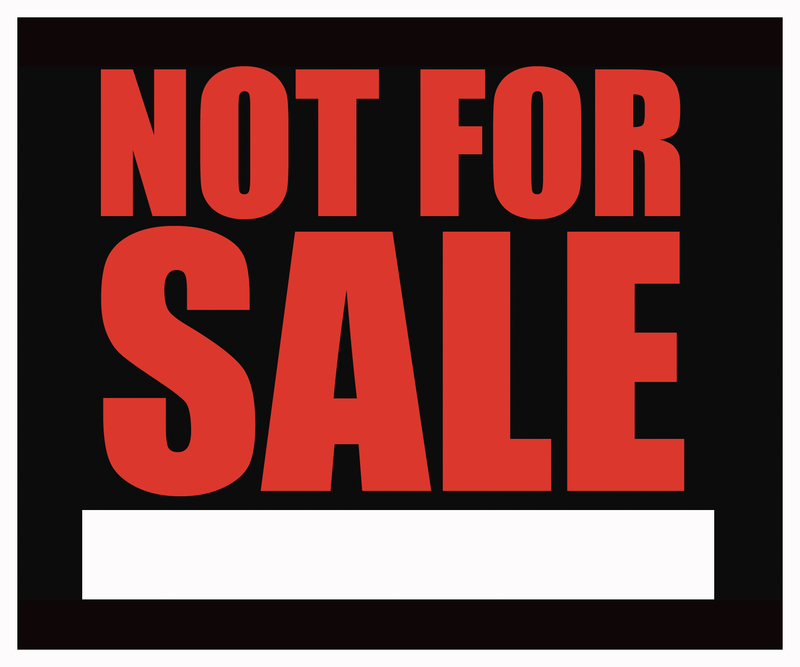 If you can “buy” something it means it’s for sale… which means there will be other buyers in the future. The channel incentive programs that typically end up providing a lasting sales lift are those that reward for “good behavior.” By good behavior I mean actions that lead to sales or better service. This is reflected in the fact that some program mangers have even begun eschewing the label of “incentive programs” in favor of the more benign term “integrity programs.” Whatever their name, these types of programs that reward for certain behaviors not only take your channel engagement from “slimy” to “sincere,” they also often end up yielding much higher ROIs. To illustrate the point, I wanted to share a study shared by my friend and persuasion expert, influencer, Brian Ahearn. Brian blogs about Influence and Persuasion at InfluencePeople. The study is about how to get the best survey participation and to move the channel partners to invest their time to respond. With one group of business owners a $50 reward was offered for completing the questionnaire. With the rest of the business owners a $5 check was sent to acknowledging their time was valuable and they appreciated them taking time to complete the questionnaire. We see similar stories all the time in Channel Incentive Programs. We are much more likely to inspire loyalty and receive the “big order” if we reward from the beginning for smaller yet significant behaviors and Steps-to-the-Sale. Here are some examples of smaller goals that can be critical Steps-to-the-Sale. Remember: When it comes to Channel Marketing Programs, don’t strategize how to “buy” business, but give smaller incentives for smaller behaviors. Those smaller incentives can accumulate and lead to BIG rewards. And those smaller behaviors lead to BIG loyalty from you Channel Partners. 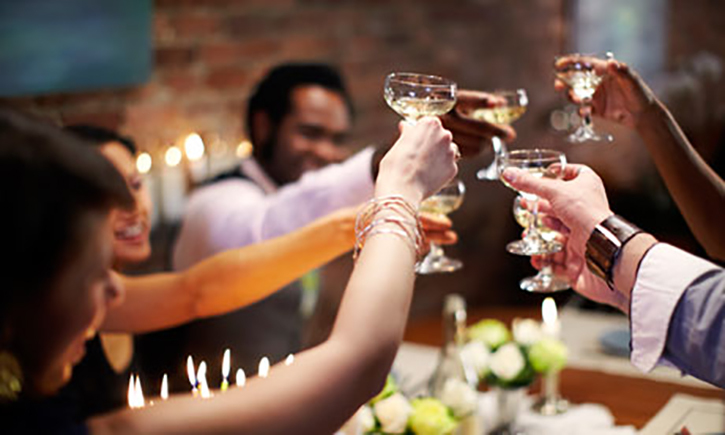 How do you design the right channel incentive program? What are the Steps-to-the-Sale in your particular sales channel? 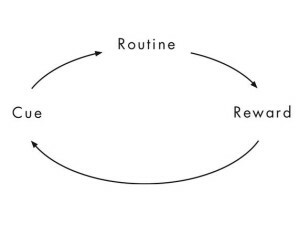 And are you properly rewarding for your channel’s most important behaviors? As always please reach out with questions or comments! As you can tell from my last few posts, it is a busy time for 2015 channel strategy and planning. 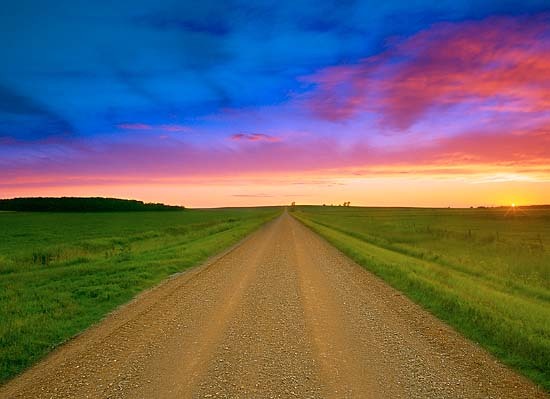 My clients often ask me, “what do our distribution partners expect from us in 2015?”. Let’s talk about what your Channel will expect from you in 2015. 1.) Simplicity — Your Channel Partners don’t want a partner program that needs a map & key to navigate. They want a program that clearly states what is expected from them and what resources will be available to help them deliver solutions to the market. Design an engagement and reward portal that tracks their goals and gives them easy access to the handful of the most important components and tools available. 2.) Clear Expectations — Yes, Channel Partners need to know your expectations so they can build those expectations into their company goals for 2015. By integrating benefits like soft benefits into your channel incentive program you can deliver a personal touch that leads to deeper, stronger relationships with your partners. 3.) More Efficient Communication — Notice I did not say “MORE” communication. This year you should try to be more deliberate and concise with your message and how you deliver it. The channel has more “noise” than ever before, and how you communicate with your partners will help determine your success this year. 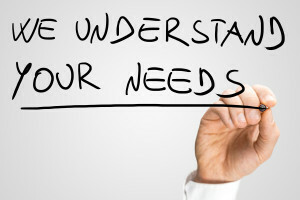 This goes for both your communication to your channel partner and your marketing THROUGH the channel to the End Buyer. 4.) Be A Part Of Something Great — Your channel partners don’t want to be chess piece in your overall company strategy—they want to feel as important as the first chair in a world-class symphony. Share with them in a meeting what the goals will be for the entire channel ecosystem, and why their role is so critical to the channel’s overall success. There is a reason why Martin Luther King said “I have a Dream”, and not “I have a Plan”. This is where most organizations tend to fall short. The companies that are able to do this well tend to have the best and most loyal channels. As always, send me an email or give me a ring with some of your ideas and questions. I couldn’t be more excited about moving the channel in 2015! Transforming your Channel? Here’s the Secret. This is certainly true when it comes to transforming your channel. I’ve had many 2015 planning sessions with clients the last few weeks. The overlying theme from these meetings and Channel Chiefs seems to be “how do I Transform my channel.” This week alone I’ve met with two senior executives of industry-leading organizations who both suggested that transformation of their channel has become a priority. Although this is not a new idea, most of my channel initiatives in the previous years had involved trying to inspire MORE of an existing behavior within the channel. But transforming the channel is about “Building the New”. And it’s not just about a tweak here and a turn there. These executives want to fundamentally change how their channel partners and partner salespeople do two things: a) How their partners interact with their company, and b) How their partners Engage and sell to the end-user. Part of the art of channel marketing is being able to influence key stakeholders in the channel without having the most powerful tool of compensation. Our channel stakeholders aren’t employees and therefore we don’t control our channel partner’s compensation plans. That being said, we do have significant control at the partner firm-level, and therefore we have the ability to adjust pricing discounts, offer rebates, and create MDF thresholds, all of which can encourage the partner to take their channel in a new transformative direction. If we want to change our business-as-usual approach to the channel, we must not be afraid to use every tool in our toolbox. With a well-designed channel incentive program we can focus on building the new and accelerating the transformation of our channel. Some transforming behaviors we can start to influence? Building the New — Training. There are many different degrees of training. There is everything from “Readiness” lessons and quizzes to full-blown Accreditation programs. Of course while any readiness initiative can be rolled out in weeks, a more significant accreditation program will usually take significant time & effort. Also, we know if Partner Salespeople (POI) invest their time in these training initiatives—whether its 15 minutes or 15 hours—this mindshare WILL ultimately translate into market share. Readiness initiatives should be hosted in your Channel incentive or engagement portals that target the POI audience. Autumn: by far my favorite time of year! The leaves are changing daily to some of the most brilliant colors in nature. The weather is crisp but not too cold. Football is in the air, and two of my favorite holidays (Halloween & Thanksgiving) are right around the corner. 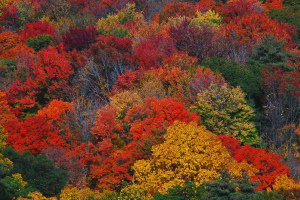 It also happens to be a wonderful time of year for the channel marketing industry. Like the leaves on a tree, the ever changing channel landscape impacts our positioning, our solutions, and how we move business through the channel. 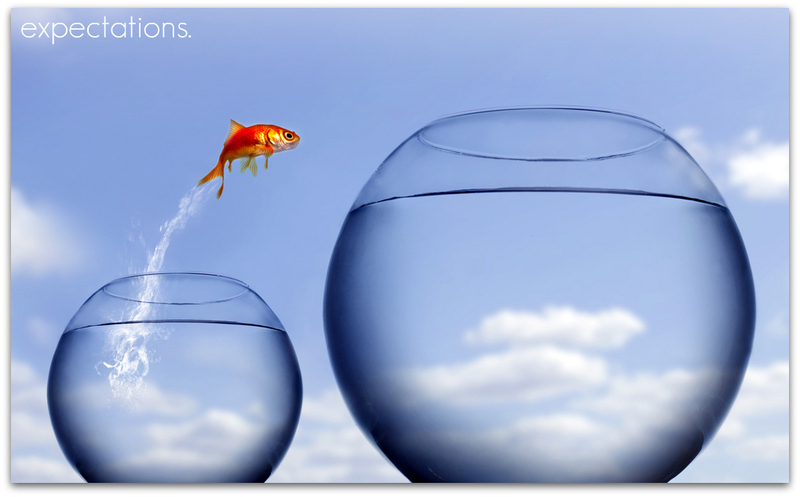 And through change comes a wonderful opportunity to grow our channel business with the proper strategy and execution. The months of October and November are also a great time to start planning for 2015. At this point you probably have a pretty good idea of what went well this past year, and what needs improvement. Well now is the time when you should start to develop your plan for next year and start trying to secure and allocate marketing dollars to initiatives that are likely to Move the Channel. 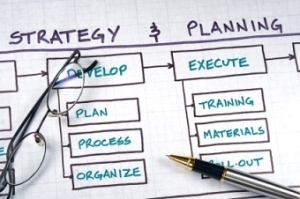 Move the Channel’s Marketing Guide and RIMES Chart can help you organize your strategy during this planning process. As a broad-stroke checklist for all of your channel requirements and future goals, this guide can only offer a general blueprint for channel success; it is incumbent upon you to decide which programs, resources, and benefits are appropriate for your 2015 approach, and which are not. As 2014 draws to a close, I challenge you to be as bold as the many colors of the trees you see on your lunch break today. Take a look back at the MTC Marketing Guide and try to figure out what is missing from your channel strategy. Are there certain components—even small ones—that your channel partners are currently lacking? Remember, being bold doesn’t always mean taking a big gamble. Sometimes it just means avoiding the same old status quo, creating that little extra separation between you and your competitors. Are you aggressively guiding your channel partners? Do they have all of the resources they need? Are you communicating, enabling, and training them to be more self-sufficient? Have you properly allocated or invested in a Channel Incentive Program that influences and incentivized your partners’ salespeople and technical sales folks? As always, shoot me an email with your ideas and any questions. 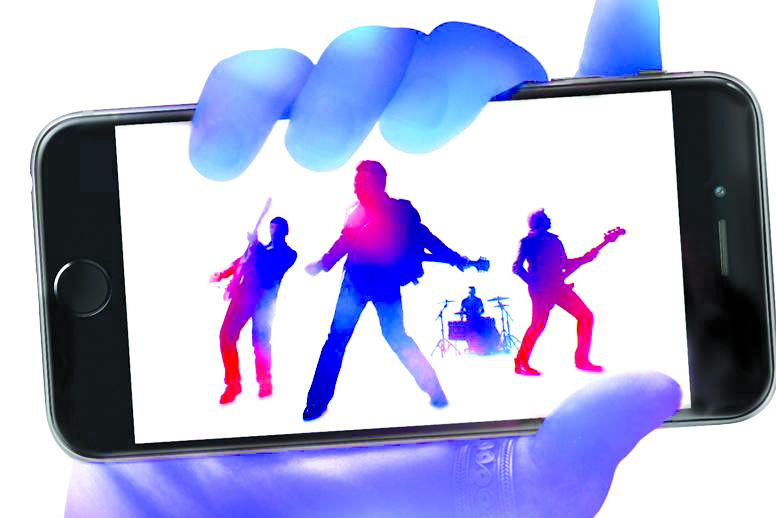 Channel Marketing Conduit: Apple just gave iPhone buyers the gift of a rockin’ U2 album. 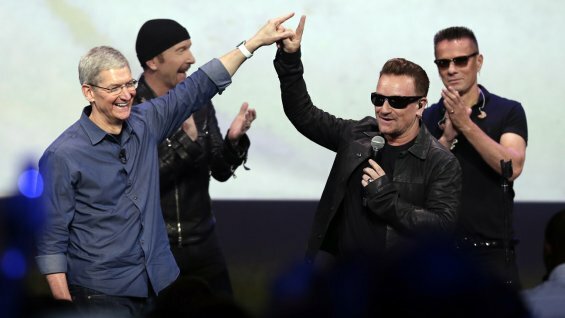 2 weeks ago Apple paid U2 $100 million and distributed their new album Songs of Innocence to 500 million people – for FREE! Of course, a bold marketing move from one of the most powerful companies on the planet is bound to attract some criticism. Everyone in the marketing world has an opinion, and those opinions regarding Apple’s strategy range from it being a huge debacle to a stroke of marketing genius. Let’s be clear, Apple got everything it wanted out of this deal; an enhanced image, increased branding, positioning in the market, a greater global reach, and most importantly, hype. Looking to launch and sell its new products, the iPhone 6 & Apple Watch, Apple and its CEO, Tim Cook, wanted to ensure that everyone was still talking about Apple, no matter how successful or unsuccessful the new product ended up being. After all, the Apple Watch hasn’t generated the type of social conversation that Apple’s been hoping for, certainly not in the same way that Songs of Innocence landing in people’s iTunes accounts probably has. What’s more, how many millions of people now have a better understanding of Apple’s iCloud technology? Although most of the Move the Channel audience is very familiar with the power of the cloud, there is still much educating and an album magically appearing on your phone is doing that. It seems that Apple is getting their money’s worth right there. As someone who designs Channel Incentive Programs, I often apply the same principles of loyalty and persuasion that Apple utilized during its campaign in order to inspire MY customers and Move the Channel. The concept behind these principles comes from a book I read, The Psychology of Persuasion by Dr. Robert Cialdini. For example, one of the proven principles espoused by Cialdini is the Principle of Reciprocity. It’s that feeling that we ought to give back to those who have given to us. To activate loyalty and the power of Reciprocity the reward must be meaningful, customized, and unexpected. Apple’s actions enough to trigger sentiments of reciprocity in its customers? On top of all of the other benefits of the campaign, we have to acknowledge that this was meaningful to most, customized not-so-much, but certainly an unexpected REWARD, especially for fans of U2. But even if you don’t care for the band, or even rock n’ roll, my guess is that you still might appreciate the gesture and enjoy being part of the worldwide conversation. Or should Apple have just given cash or an iTunes discount? Would that have been a more successful marketing ploy? I certainly don’t think so. What would Apple have received from this type of reward? I have to imagine that a few extra dollars in your account would not have the same impact as a free album that you could listen to over and over again. 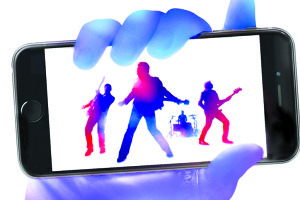 Now, every time a customer sees Songs of Innocence in their library, or hears it on their iPod, they will probably think back to when Apple gave it away to them as a reward for their continued loyalty. As most of you in the Move the Channel community know, there is an ongoing debate about what is the right reward or incentive when it comes to engaging and growing mindshare in your channel. The fact is that a meaningful, customized, and sometimes unexpected reward is something that can trigger the powerful Principle of Reciprocity, lead to increased loyalty, and impact future buying behaviors. Apple had a difficult challenge coming up with a reward for its millions of diverse customers. Fortunately for those of us in Channel Marketing, our audience is much more focused, making it that much easier to engage, communicate with, and reward them when the time is right. Should YOU be rewarding YOUR Channel Partners for their loyalty too? As always, please send me a an email with questions or comment. Global Channel Incentive Programs: Multi-Business Unit, Multi-Distribution Channels, Multi-Cultural, OH MY! If Dorothy thought lions, tigers, and bears sounded scary, imagine the anxiety she would feel living in our complex, multi-national channel world. I have to admit I still occasionally break out into a cold sweat when I try and wrap my head around all that’s involved with global channel incentive programs. 7 years ago, I was intimidated by the idea of building and managing a global platform and strategy, and rightfully so. But today that fear has become more like a sense of excitement and anticipation when visiting a new country, the feeling you might get right before you start a new adventure. I recently heard that there is no such thing “too much” adventure. This statement is certainly true as it relates to your channel incentive programs. The fact is, unless you are adventurous with your channel marketing and engagement, you are falling behind. Let’s continue to be in the forefront! Adventure is a good thing, but only if we properly prepare for the journey. Most importantly, if you decide to pursue a global channel incentive program, careful navigation is key. To be sure, while you aren’t signing up for a Mount Everest expedition, running a global program isn’t exactly a walk in the park either. 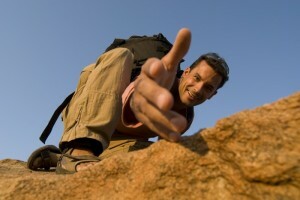 Above all else you need to select the proper “guide” (vendor partner) for your “journey,” one that not only has the global footprint and resources to make the trip a successful one, but also has the years of experience and scar tissue from actually executing these types of exhilarating solutions. There are a handful of channel incentive companies that think they have the resources in place to run this kind of incentive program, but only a few who have actually gone out and executed them successfully. The reality is global incentive programs are hard. I mean really hard. So what’s the trick? “Plan global, execute local.” In a nutshell this means having a global platform that provides constancy, continuity, and controls while providing local strategy and program management (people) down to the theater or even the country level. The fact is that this type of strategy can generate the kinds of incremental mindshare and market share gains that make it simply a no-brainer! Imagine empowering your regional sales and marketing leadership the flexibility to launch their unique incentive campaigns. And while I certainly understand that a foray out into the global channel arena can be a bit daunting at first—heck, it was for me!—if you can overcome the initial fear of the new, there are rewards to be reaped that will make you glad you took that bold first step into the unknown. After all, isn’t that what adventure is all about? 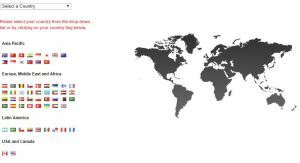 Is your global channel incentive program giving localized flexibility to multinational sales teams? Are you considering extending your program across the globe? As always, reach out to me with idea, questions, and comments. What the ALS Ice Bucket Challenge has taught Channel Marketing? Ever heard of the ALS Ice Bucket Challenge? Sure you have. 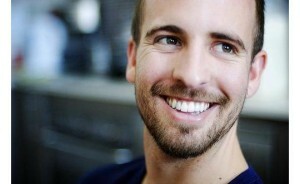 It’s been one of the most successful viral campaigns in the history of social media. For me, this particular movement is rather close to my heart, because not only is it an amazing cause—bringing awareness to a terrible disease and raising money for research that will hopefully lead to a cure soon—but also my friend and high school classmate is currently battling ALS with unbelievable courage and grace. As it stands, this social media campaign has been remarkably successful, raising $15.6 million thus far as a result of the challenge. That’s more than nine times the amount of money that’s normally donated to the major ALS organizations in the same time frame. Beyond the obvious implications of this amazing human-interest story, what else can we learn from the ALS Ice Bucket Challenge? 1.) Everyone and their parents are on social media, and those who were heretofore uncomfortable using social media are becoming more comfortable with it. At this point, if you aren’t using social media in some form, you’re probably missing some important conversations that are taking place within, around, and about your channel. This includes dialogue between your channel partners and their employees. 2.) Social media can be an extremely personal—and thereby effective—form of communication. For starters, you can comment directly to an individual customer, employee, or partner. Also, when you write on someone’s page or comment on a conversation they’ve started, you are giving them a vote of confidence. Essentially you’re saying, I’m not afraid to be seen with you in public! When working with your channel, the best social media campaigns are usually managed in a secure, Facebook-like module in the Channel Incentive Portal. 3.) If you “challenge” the individual, the masses will follow. As far as I can tell, communications to a mass audience doesn’t work very well. On the other hand, if you engage or “challenge” an individual with a call-to-action, the effectiveness of this contact will greatly increase. The fact is, unless you have a friendly relationship with someone, you probably aren’t going to contact him/her on Facebook, LinkedIn, or via text message. My point is, if you are reaching out through these mediums directly, then it could help you make the jump from business partner to business friend. 4.) Fun, public “call-outs” work with people you already are friendly with. Yes, the ALS challenge is intended to support an incredibly good cause, so most people are excited to help and participate in it. But a good social media campaign doesn’t have to be in the name of a charity or fighting for a cure in order to be effective. As long as there is good will between the “challenger” and the “challenged,” people will see it as simply as a fun way to engage and connect. 1.) Concrete Chicken Tour — This concrete (yes, a heavy concrete) chicken named “Albert” was hand-delivered to the partner salesperson who happened to close the biggest deal that month. This lucky individual held onto—i.e. showed off—their trophy for an entire week, and was asked to “take care” of Albert and to take pictures of him throughout the week. In the office, in a meeting, with a client—even at home at the dinner table—there was Albert. You can image how much chatter amongst the channel partners this created. Of course, each of Albert’s “caretakers” kept upping the ante with their pictures, which were posted in a communal social media module inside their Global Channel Incentive Program Portal. 2.) 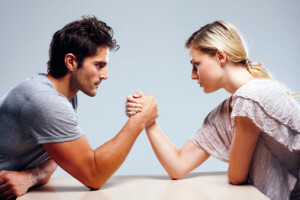 Crush the Competition — One particular manufacturer ran a program called “Crush the Competition,” which included a social media component that evolved organically from a “conversion” incentive promotion. In their channel incentive program, this partner sales or sales engineer was offering valuable reward points for a sale that replaced any qualifying competitor’s equipment. To get credit for the conversion they had to submit a picture of the equipment they were replacing. They would submit the picture through their normal claims process in their incentive portal. It wasn’t long before the pictures became terrific images and even videos of playful destruction. Senior management loved the excitement it generated throughout the channel partner community. 3.) Life’s a Beach — We all know that the Ultimate Reward for a channel partner is the achievement of the prestigious President’s Club group trip. One of my clients had a great community dialogue going with its channel partner that was hosted in their Channel Incentive Portal. Of course when pictures started being uploaded from the trip, it turned into great motivation for those that didn’t earn into that year’s President’s Club. This resulted in more first-time qualifiers than ever before! If you haven’t been using social media to engage and “challenge” your channel, the time is now. Please share with me some successful programs you may have run. Or email or call me to brainstorm on some ideas that might work for your unique channel. First Fight with your Channel Partner? Now you’re getting somewhere! Who doesn’t love those first idyllic months of a new relationship? You’re enamored, giddy and can do no wrong in one another’s eyes. But then whammo! One not-so-fine day the bubble bursts. He forgets a major commitment or she shows up an hour late for the third time and suddenly, instead of kissing, you’re sparring. Hello, reality. If the above sounds like it might be the start of a blog from Match.com or some other dating advice site, it’s because it is. 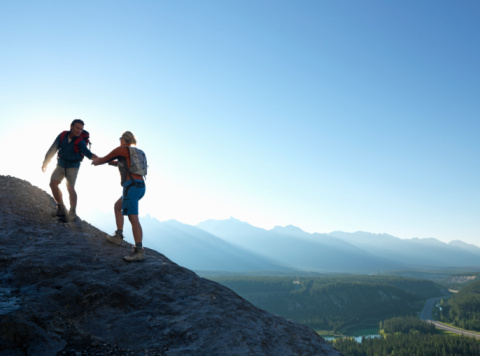 Just like in personal relationships, channel partner relationships tend to go through stages of development that, although not without their challenges, can ultimately lead to healthy and mutually rewarding partnerships. The Romance Stage is easy. If you have recently entered into an agreement with your partner, chances are to this point there has been lots of courting and a focus on all of the positives that the partnership can bring. At this stage both parties are probably excited, and may even possess some unrealistic expectations about the potential of the relationship. Without a doubt, you should enjoy and make the most of this Romance Stage—but be careful not to stay in it for too long. 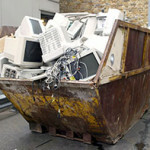 The fact is that if you remain in this stage, it could mean not much actual business is getting done. If there is no friction, there is a good chance a big deal hasn’t forced you into the weeds of the partnership. And therefore the partnership has never truly been tested. I know this is going to sound crazy (and maybe even a bit strange), but your first “fight” with your channel partner could be the best thing to ever happen to the relationship. A fight might be a disagreement over the margin of a deal or who should “own” the end-customer relationship, etc. Things might get a bit rocky for a time, and some partnerships might not even survive the first fight. But you can work through it, you will have the foundation needed to build towards the highly lucrative and mutually beneficial partnership. It isn’t until the partnership had been tested or until each party’s colors have been exposed they the relationship will enter into the Co-Creation or Bliss Stage. But remember: patience here is critical. While this final stage probably won’t be reached right after the first “fight,” it almost certainly wouldn’t happen without it. The first “fight” is probably the best and most honest learning opportunity you will have with your partner. From this opportunity comes understanding, from understanding comes acceptance, and with acceptance comes a much easier path not just to longevity, but growth and success. Are some of your best partnerships the ones that you have had a “fight’? I wouldn’t ever go looking for a “fight”, but I might start questioning the partnerships that haven’t led to some kind of disparity or scuffle. As always, please reach out with questions of comment! As part of my job I subscribe to numerous travel magazines, and I love reading about destinations that I haven’t visited yet. This past week, Travel + Leisure Magazine published their annual “World’s Best Awards for 2014.” Looking at these lists of top hotels, cities, islands, and cruise lines, I realized that there is actually a huge contrast between what is considered “tops” for individual (vacation) travel as opposed to a larger group of high-performing sales reps or channel partners. Accessibility — Is there a relatively large airport nearby? Or would you need to take a less convenient mode of transport (e.g. prop plane, sail boat, etc.) in order to reach the destination? Also, how far is the destination from your departure country? For example, Bali is a wonderful location for a group trip, except that it typically takes close to 24 hours by plane just to get there from the US east coast. Activities — If it’s only you or your family on a trip, choosing activities is a relatively easy task (although some families might disagree!). But for large groups, you may be asked to accommodate hundreds of different personalities and interests all in one location. Obviously, this can be a bit of a challenge. For example, Virgin Gouda is a wonderful destination—if everyone in your group wants to experience the laid back life of a boater. Often times, there just aren’t enough activities available in a single spot to entertain a large group for more than a couple of days. Accommodations — Does the destination have a property that can comfortably handle a large number of guests who may want to be grouped relatively close to each other? For example, Exumas, Bahamas only has one resort that can accommodate a large group, so you better reserve well in advance! 1.) 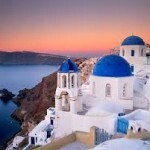 Santorini, Greece – We agree this is a premier vacation destination in the world, but it’s not necessarily one that’s appropriate for a large group (100+). However, we’ve organized many Mediterranean Cruise Channel Programs “stop” on the island for wonderful events, but you probably wouldn’t want your large group staying there for more than 24 hours. So although it is a main attraction for a group travel incentive program, it usually isn’t the main destination. 2.) Maui, HI – Excellent group incentive trip island. However, it requires a higher incentive budget, and requires a longer flying time from the Eastern U.S. 3.) Kauai,HI – Excellent group incentive trip island. However, it requires a higher incentive budget, and requires a longer flying time from the Eastern U.S. 4.) Hawaii, the Big Island – Excellent group incentive trip island. However, it requires a higher incentive budget, and requires a longer flying time from the Eastern U.S. 5.) Bali, Indonesia – Excellent group travel destination. 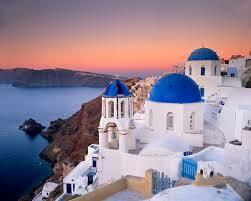 However, it requires a long flight and only offers one or two locations for suitable group accommodations. 6.) 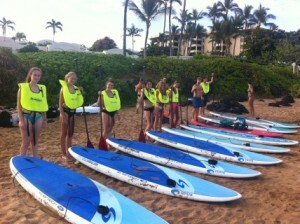 Oahu, HI – Excellent group incentive trip island. However, it requires a higher incentive budget, and requires a longer flying time from the Eastern U.S. 8.) Virgin Gorda, British Virgin Islands – Only accessible by boat or prop plane. Virgin Gorda would be an excellent destination “stop” on a cruise but would not be ideal as a main destination for a large group. 9.) Vancouver Island, Canada – Weather is a concern. 10.) San Juan Islands, WA – Weather is a concern. If you’re looking for the perfect destination to send your high-achieving sales reps or channel partners to, it’s important to remember that what works for one person might not work for many. This may seem like simple logic, but you’d be surprised by how many people tend to overlook these logistical details. Which is just one of the many reasons why employing a third party performance improvement company to manage your channel sales incentive program—and the group trip that is often the major reward—can prove to be extremely valuable in the long run.